Dr. Tony Makhlouf always appreciates feedback from his valued patients. To date, we’re thrilled to have collected 6 reviews with an average rating of 4.83 out of 5 stars. Please read what others are saying about Dr. Tony Makhlouf below, and as always, we would love to collect your feedback. 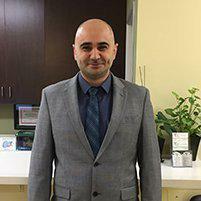 Dr. Makhlouf is knowledgeable, caring, and helped direct us in the right direction for our situation. The office staff is friendly, and helpful. It is a pleasant surprise to meet a doctor that has excellent bed-side manner with patients and speaks with confidence and compassion.